You may be very much interested in starting your own new business, but you should have a small financial investment plan. 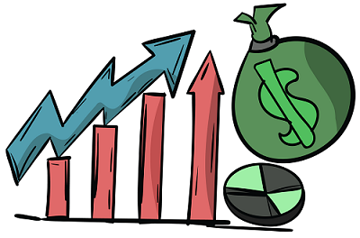 Your business needs at least certain amount money with a good business plan. 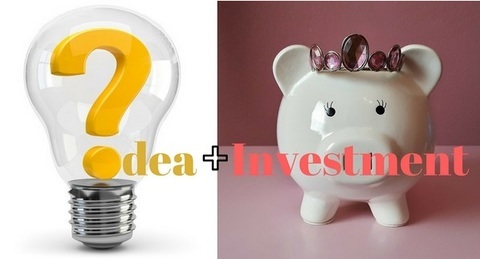 For low investment business ideas, the principle investment should range from one to five Lac Indian rupees. Small business can be started right from home but it is always better when you go for a small business space with minimum rent. Even if you start your own business with low investment, these business ideas can mentor you the basics of running the business such as how and where to set up your shop, pricing method, accounting basics, customer negotiations, marketing, sales and promotion. The below mentioned are the 10 new business ideas or tips to start as an entrepreneur. You can start this business with any level of investment. The better option is to rent a small shop to connect with publishers to keep and maintain book stocks. To start with have 200 to 250 books as a stock at your store. To grow your business quicker it is better to have 500 to 1000 books as a stock. From just reading, collecting and discussing about your book business you should be aware of some popular online book selling organizations bibliophilegroup.com, bookweb.org, ioba.org and biblio.com/bookstores. It should have a general business plan about how to start an online book store. To set up your online bookstore find a perfect business name or domain name. For assistance, refer websites like instantdomainsearch.com, godaddy.com, whois.net and more. Acquire business license with the help of a local Chartered Accountant. Own a website for starting and selling your books online. Get a good payment gateway with basic transaction charges like Paytm and CCAvenue. Select a logistics company for shipping your products like Bluedart, FedEx and more. Find your perfect suppliers and distributors for your books such as ubspd.com and ibhworld.com. You can start your own personalized gift shop if you have this special kind of interest within you. To start, you have to do a small research by visiting other custom gift shops. You have to look for a right location, small business plan and better marketing services. You should plan your investment plan based on your financial status and other circumstances. Choose a unique name for your shop. Buy impressing and special gift products for your shop to attract your customers. Advertise your shop through flyers, referrals, newspapers and online if you build a website. For buying customized gift products for your shop you can refer few popular sites for product ideas like custommade.com, personalcreations.com, uncommongoods.com and gifts.com. This would be your greatest idea to service your people during celebrations and festivals. These days, particularly marriages are conducted in special corporate halls and corporate hotels. So planning your customer’s wedding event is the most sensitive job. As a wedding planner you can earn lot of income by arranging and managing your customer’s events. For this business idea, you can refer these sites such as shubhweddingplanner.com, purplechariot.com and marrymeweddings.in. It is not necessary that you already knew about interior designing or not. You can partner with a professional interior designer to market and manage their business. This business requires less investment to start your own firm. In cities handicraft products are becoming very popular as people are very much interested in decorating their homes with craft products. You should find a good supplier of craft products. This kind of business could be done by promoting your products online through your website. Servicing your customers by designing and decorating their homes will fetch you good income. For interior designing business idea you can refer carafina.in, homelane.com and designarcinteriors.com. Starting an insurance agency is an old kind of business and it requires very less investment. You have to put more time and effort to find out your customers and build your network. If you have a concern about being a financial advisor for an individual or a firm, this would be a good business to start. You have to do marketing without any large investment and you can earn by commissions. Similarly to become a mutual fund agent, AMFI certification is a must which allows you to promote different mutual fund schemes. You can find more training programs and guides on nism.ac.in and utimf.com. You should have flair knowledge about beauty techniques and make-up ideas. Almost every one of us are so much keen on being handsome or beautiful depending on their gender. This business attracts more customers if you provide a good and special service for your customers. Becoming a nutritionist also needs a short term training to start your own service on directing your customers. To get a better business idea you can refer websites like homesalonservice.com, getlook.in, vlccwellness.com and nutritionvista.com. If you want to become a personality development or skill development trainer, you should get trained by attending some private and government based training programs like msde.gov.in, nscsindia.org, mmmts.com and letstalk.co.in. You can serve your customers by training them with communication skills, soft skills, personality development and more. Obviously, this would be a part time business for you if you have flair for starting a fitness centre. Starting a yoga centre is a respectable and a small business idea. But you should be a trained and certified yoga guru. For training and certification you can reach training centers such as goldsgym.in for fitness and sivananda.org for yoga. If you are good at electrical and plumbing service, you can start your own online service to book your customer needs. In this business you can have your own service technicians or you can outsource the work to other service technicians. You can earn your money or commissions by paying a part of it to your technicians and customer bookings. For starting this online business you can have a look on websites like housejoy.in, helpr.in and easyfix.in. Are you a tech guy? If you are, then you can develop customized mobile apps for the mobile as that can simplify other businesses automation process. Similarly if you want to start a web designing business, need not necessary you should know web designing. Instead you can develop customized websites from many website templates available online. Or else try to create a blog with less or no investment. Free blog design and templates are available online and this requires a lot more work. Start writing in your blogs and you would start to earn money when your blog becomes popular. You can refer online tutorials and templates like template.net, sitepoint.com, how-to-build-websites.com and w3schools.com to start your business. People getting too much aware about health and that’s why I think Yoga or Health instructor business has very good future. many thanks for this wonderful share. Hello Santanu. I think Yoga or health instructor business are both wonderful ideas requiring little or no investment. I have started my own business of software developing and web page designing, its really a good idea as well as effective with lot of income. You can visit to official website that is techdezire.com or else you can watch my youtube video. Hello Deep. Thank you for leaving the comment, and wish you success in your new business. Do remember Evoma when you have grown into a big startup and need office space to expand.